There are so many Anti-Inflammatory books out there. So, what make this book special? 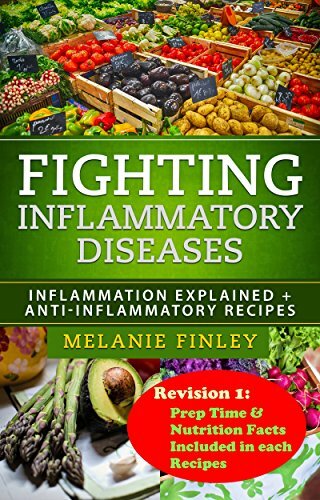 Unlike many other books which stress mostly on the recipes, in this book, I've listed various minerals and food source that contain high contents of anti-inflammatory nutrients so you will know exactly what are the best food to be used in your recipes should you decide to create one for yourselves. I strongly encourage people to create their own recipes, taking my recipes as a sample, mix and match, replace some of my ingredients with those that you preferred. This make your cooking more fun. Last but not least, there is a whole string of delicious and throat soothing recipes that can improve your health as well as fulfilling your taste-bud. SO, ACT FAST AND GRAB ONE COPY !!! Should you have any comments after reading the book, please feel free to provide your review. By understanding the shortfall in my book, I will be able to improve it and provide you with better reading experience. Wishing everyone Healthy and Happy !! !